A mod aircraft called Baserunner 4.0. Built with 121 of the finest parts, its root part is B9.Structure.HX2.H. 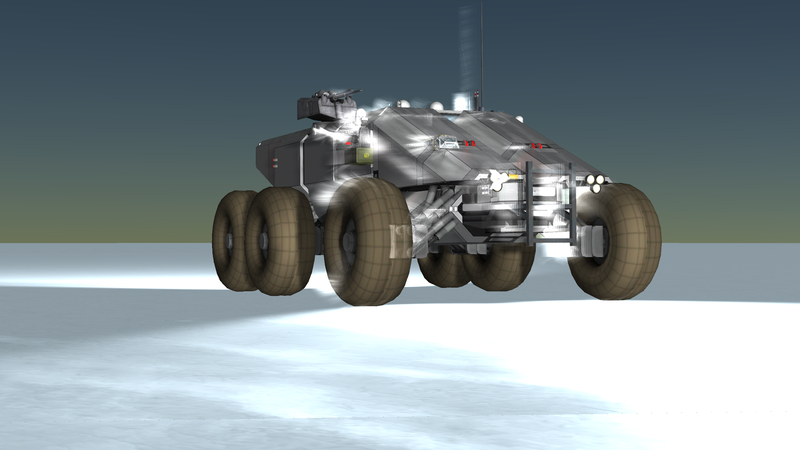 Super heavy nuclear rover designed as a mobile base! Can carry, launch and land small to medium VTOL aircrafts! Basically a mini aircraft carrier on wheels! And damn, this gigantic monster runs fast (can sustain 300m/s on flat surface)!! !